The Cuisinart CHM-3R power advantage 3-speed hand mixer is ideal for mixing just about anything . An easy one touch slide switch smoothly changes speeds for precision control. The 220-watt motor with automatic feedback can perform any mixing task. Three low mixing speeds provide a splatter-free countertop and the slide control easily shifts speeds with just one touch. 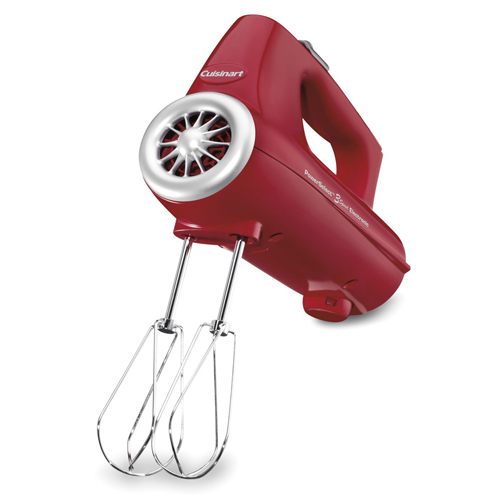 The 3 Speed Hand Mixer Red Power Select has many exciting features for users of all types. See the 3 Speed Hand Mixer Red Power Select gallery images above for more product views. 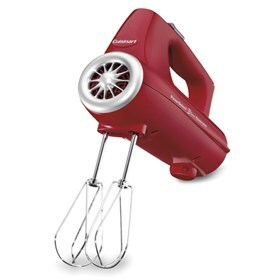 The 3 Speed Hand Mixer Red Power Select is sold as a Brand New Unopened Item.